It was crooked from the start. In the bottom of the first inning of Game 1, White Sox ace Eddie Cicotte's pitch struck leadoff man Morrie Rath. This signaled a consortium of gamblers that "the fix was in," as various Chicago players had agreed to throw the World Series in exchange for various sums of money. Worst of all, two of the crooked White Sox were Cicotte and the club's No. 2 starter, Claude "Lefty" Williams. The former was hammered in Game 1, 9-1, and the latter followed up with a 4-2 loss in Game 2. Rookie Dickie Kerr was not one of the dirty Sox, and he spun a three-hit shutout to beat the Reds 3-0 in Game 3. Cicotte started Game 4, and though he only allowed two runs -- both of them scoring on suspicious-looking errors by Cicotte himself -- the Sox lost as Cincy starter Jimmy Ring whitewashed Chicago on three hits. And Game 5 resulted in yet another three-hit shutout, as Hod Eller defeated Williams, 4-0. That made four wins for the Reds, but the 1919 World Series was played under the best-of-nine format, so the Sox were still alive. By this time, most of the Chicago conspirators had become disillusioned with the plan to throw the World Series, and a number of those players contributed to the 10th-inning run which gave the Sox a 5-4 victory in Game 6. Kerr went the distance for Chicago. 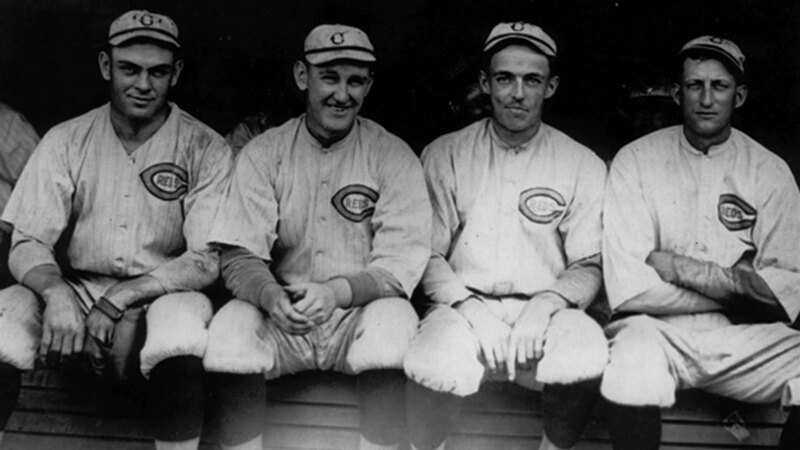 Cicotte was solid in Game 7, beating the Reds 4-1 thanks to two RBIs each from Shoeless Joe Jackson and Happy Felsch (both of whom were in on the fix). Unaccountably, Sox manager Kid Gleason gave the Game 8 starting assignment to Lefty Williams, who (probably intentionally) couldn't escape the first. The rout was on, Hod Eller gaining credit for Cincinnati's World Series-clinching, 10-5 triumph. It wasn't until almost a year later that the story of the Series fix became public. Despite a questionable trial that resulted in acquittals for everyone, new Commissioner of Baseball Kenesaw Mountain Landis handed lifetime suspensions to eight White Sox: Cicotte, Williams, Jackson, Felsch, Gandil, Buck Weaver, Swede Risberg and Fred McMullin. (Weaver's only crime was, apparently, guilty knowledge, as he accepted no money from gamblers and played well in the World Series.) Forever after, the 1919 White Sox would be known as "the Black Sox."